If you were a fruit, what fruit would you be? Dress as your favorite fruit and together we’ll become a fruit salad! The Concept: Dress as your favourit fruit. Let’s say Jess is a Strawberry, Peter is a Pineapple, Stephanie is an Orange, Lisa is a watermelon, Eric is a banana and everyone on the dance floor is a fruit. When we all dance together, the dancefloor becomes a fruit salad! It’s time to start Summer right. As December 2nd is the first Saturday of summer we’re kicking off this silly season right with healthy eating and a fruit salad theme party! Dress code: Fruit theme, Summer, Colourful, Tropical or just wear clothes with a fruit print on it! Get creative and have fun. Plus special prize for best costume. 1st round Early Bird $10 – SOLD OUT! Fundraising: Any profits raised from this event will go towards the costs of the Pirainia Theme Camp! 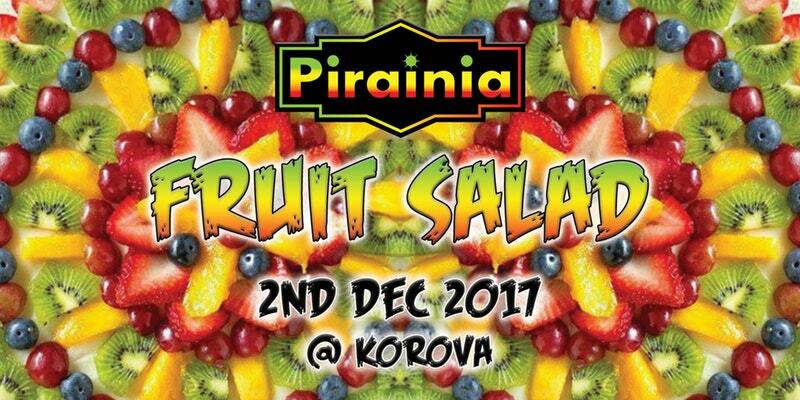 comments: Comments Off on Pirainia FRUIT SALAD!